The latest addition to Cherry Mobile's family of endorsers, Kim Chiu joins hosts Victor Basa and Phoemela Baranda on stage at the Cherry Mobile Captain's Ball which was held earlier at the Le Pavillon in Pasay City. If there's a local mobile phone brand that made a scene in 2014, that would definitely be Cherry Mobile. And they're finishing the year with another huge surprise. Not only did they gather some of the country's most bankable young celebrities as endorsers, they also released another phone wonder - the Octa Core Infinix Pure. While the smartphone market is still a tight contest between iPhone and Samsung, what phone can you get with a PhP7,000- budget. You definitely can't get a Samsung Note 3 or an iPhone 6 with that budget no matter what buy and sell tricks you'll do in Greenhills. But with Cherry Mobile, you'll get almost exactly the same specs for a brand new device. The Octa Core Infinix Pure is built in with a faster browsing and navigation system. If you fell in love with Quad Core, eight processors running at the same time is better than four. Aside from being one of the few Octa Core phones, the Infinix boasts 13-megapixel rear camera and 2-megapixel selfie or front camera. The iPhone 6 only has 8 MP. The phone is also running with the latest Android version, KitKat. If you want to know more details about the Infinix Pure, check out my photos here: The Cherry Mobile Infinix Pure. Anne Curtis bravely performs the Frozen theme song "Let It Go". Full video of her performance is posted below. Although it's an incredible device, the happy moments during the Captain's Ball earlier at the Le Pavillon Park in Pasay City was not all about the Infinix Pure. It is really about the astonishing success that Cherry Mobile gained in 2014. Sales where at all time high, their executives said and they're excited for a much bigger 2015. 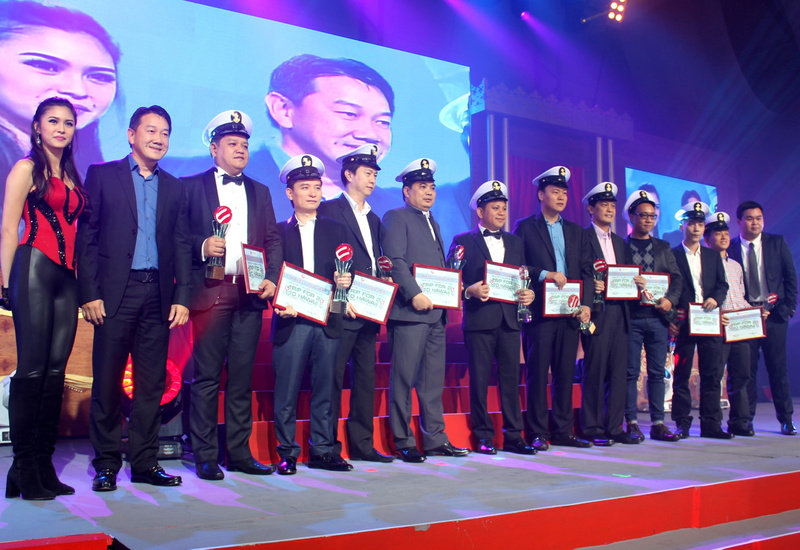 With the huge numbers, they honored their year-end party with special prizes to their top dealers. Cherry Mobile's success was further boosted by the popular faces that were endorsing the product. 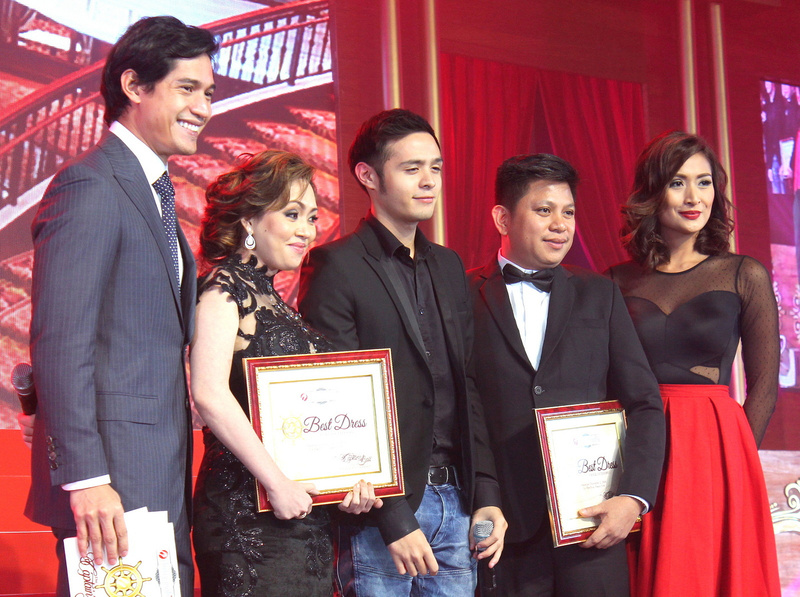 Kim Chiu, Martin del Rosario, James Reid, Nadine Lustre and Anne Curtis came to celebrate with Cherry Mobile. While I am playing with my new Infinix Pure, I give you photos of the performances by the celebrities at earlier's party. But before that, consider Cherry Mobile as a great gift to your loved ones this Christmas. It's not all about how expensive the gift is. It's the thought that counts. And in this case, the gadget's performance too! Here's a video of Anne Curtis's applauded live performance of "Let It Go"